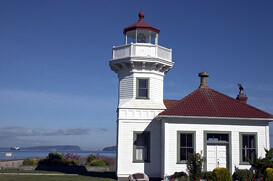 Mukilteo, Washington was ranked number nine in 2011 on Money Magazine’s top 100 small towns of America to live in. With such great parks and recreation areas, an amazing and growing economy, and some of the most prestigious schools in the nation, it should be quite easy to see just why Mukilteo is one of the best places to live. This area has tons of places to visit and relax while you are here. Campgrounds include Flowing Lake, River Meadows, Wenberg, Squire Creek, and Kayak Point. Saltwater parks in the area are Meadowdale Beach, Spencer Island, Picnic Point, and Estuary Watertrail. There is a golf course by the name of Kayak Point Golf Course. Lakefront parks in the area are Leckies Beach, Lake Goodwin, Gissberg Twin Lakes, Lake Roesiger, Wenberg, Wyatt, Sunset, and Martha Lake. Riverfront parks available for visit are Jordan Bridge, Riverscene, Twin Rivers, and Squire Creek. Wildlife areas include Spencer Island, Portage Creek Wildlife Area, North Creek, Paradise Valley Conservation Area, Narbeck Wetland Sanctuary, and Bob Heiman Wildlife Preserve. There are also trails, dog walking areas, athletic fields, community parks, an outdoor pool, an arboretum, playgrounds, and amphitheaters throughout the area. There are also future parks planned and under construction. With so many places to visit, you will never have a dull moment while you are in the area. With a large number of businesses hiring in a wide variety of occupations, it should be pretty easy to find yourself a job in the area. It should be no problem at all to find a job in the area. Serving the children of the area is the Mukilteo School District. Eleven elementary schools in the area serve the youngest children. Four middle schools educate the seventh and eighth grade children of the area and three high schools work to teach the oldest students in the area. Kamiak High School is one of these which is the most expensive high school ever to be built in America. Also serving children of the area are ECEAP, Sno-Isle TECH Skills Center, and Lake Stickney Professional Development Center. Mukilteo, Washington, outside of Seattle, is a great place to live and raise your children. With so many parks and recreation centers, a booming economy with many jobs available, and an amazing school district to serve your children, it is easy to see why Mukiltea is a top rated place to live.